As a new feature on Best Kid iPad Apps, I’ve decided to start notifying my readers when when I notice price drops on good children’s apps. My sister recently recommended this one to me. And while I haven’t had a chance to really delve into it for a full review treatment, it seemed like a really great game for kids. It bares a lot of similarity to Angry Birds. But it’s far more accessible for younger players. 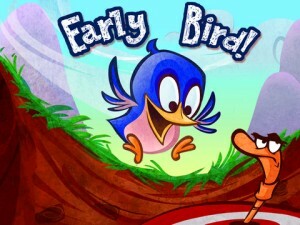 Frankly, it seems like a far better game in every way than Angry Birds, for kids or adults. But I am in what is apparently a very small minority that thinks Angry Birds is actually a really awful game. But I digress . 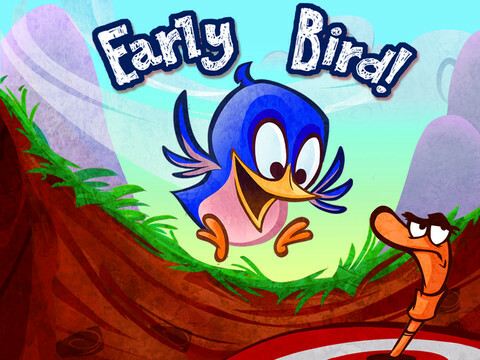 . .
A few weeks ago, Booyah, Inc lowered the cost of entry for Early Bird to the very attractive price of Free! At this price, you can’t go wrong with this fun and cute game.